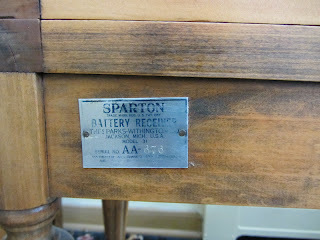 We have a little end table in our living room that used to be a Sparks Withington Co (Sparton) radio in a wood cabinet. 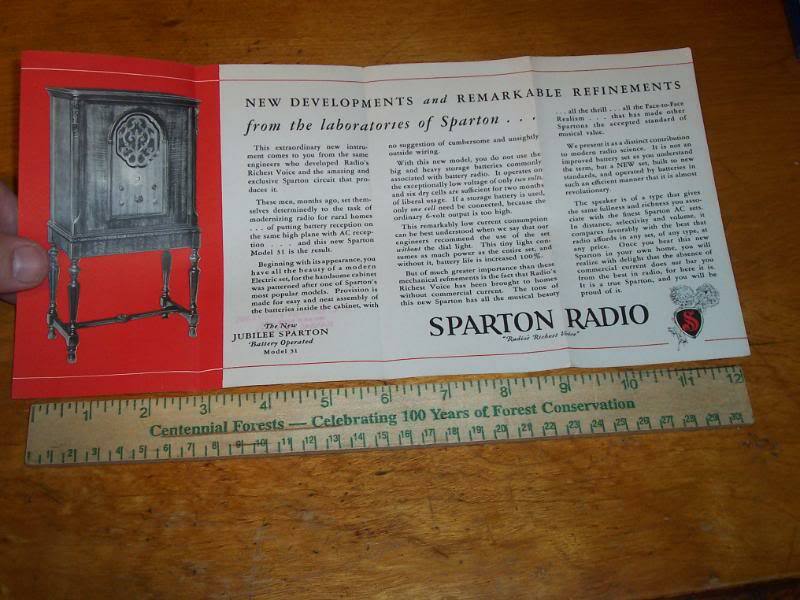 I don't have a photo of it before (I never knew that I would start a blog in December of 2011 and would need a "before" photo), and I couldn't find a photo of the radio on the internet except for this photo on ebay for the sale of the Sparton Model 31 radio booklet. See the tall radio cabinet. This is the metal plate on the back of the radio/table. 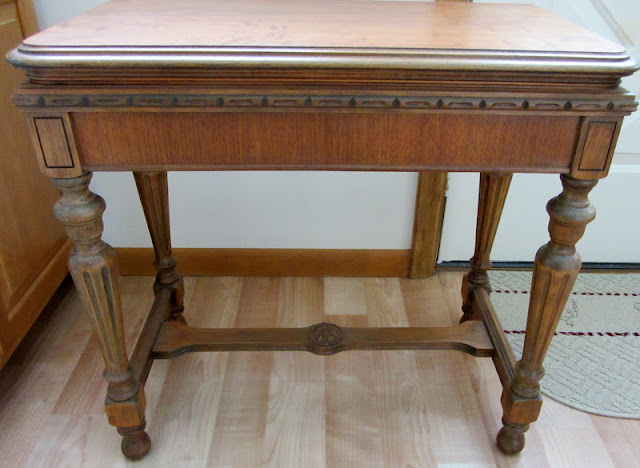 Just look at the detail on the table. 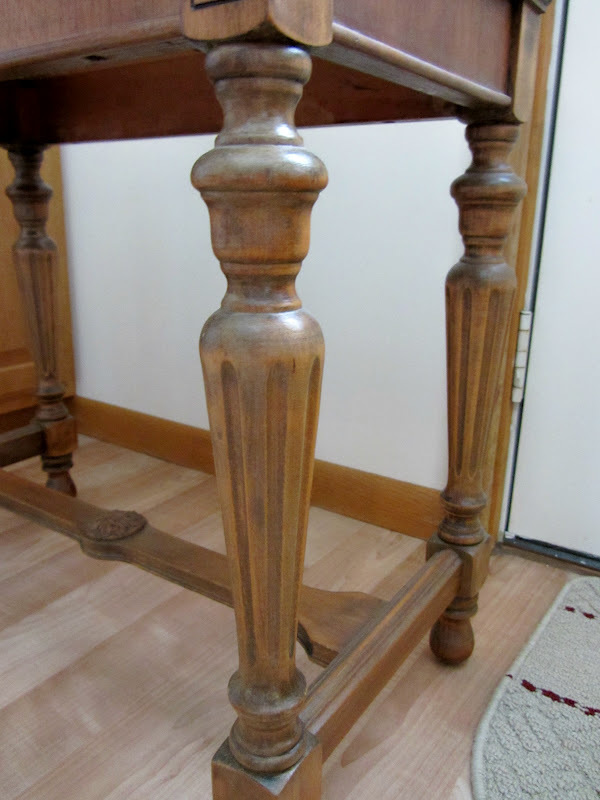 Beautiful legs and center brace medallion. Here it is tucked in between our sofa and chair and a half. It really should command a better spot in our house. 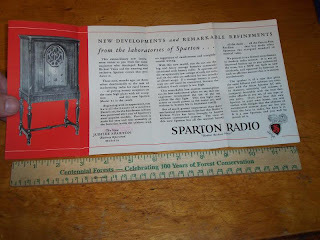 I like it as a table better than a non-working radio! This is beautiful! I love love love it. Thanks for linking to Time Travel Thursday this week. Oh my word, that is AWESOME! I LOVE you re-use/re-purpose job- very well done!!!!! Love the details and I think it is a great way to re-purpose such a lovely piece. 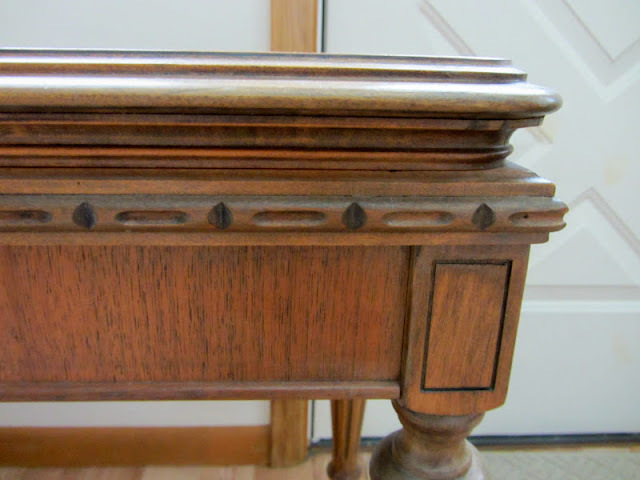 Carlene, your table is gorgeous and who would ever know the top was the top of the radio? I don't blame you for changing it to the way it is now. I mean, what can you do with an old radio that probably needed tubes and things to make it work? But the radio top makes a great table top with such great detail. 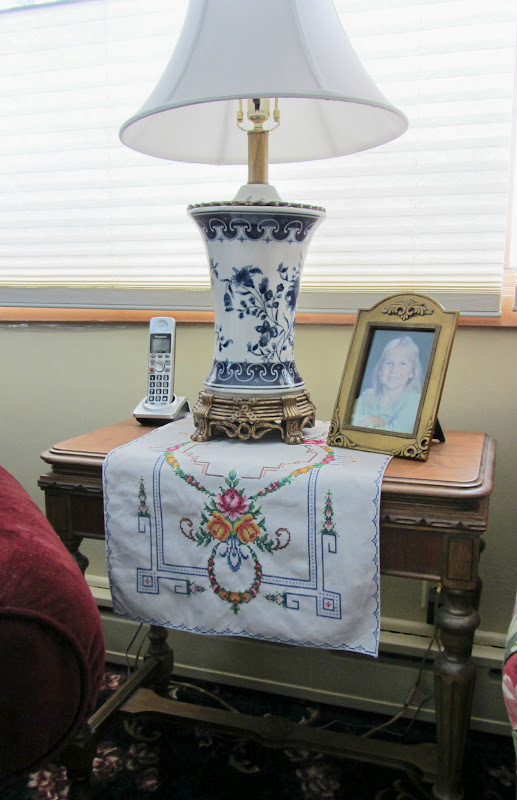 What a pretty table, love the vintage tablecloth or runner you have on it too. Have a great weekend. Very nice! I think it's great you turned it into a table... you made it into a functional piece that works for you!